A new engine, new architecture and an improved interior do much to quell complaints in the 2011 Dodge Charger. The lack of a truly sporting transmission – either dual-clutch or a traditional 3-pedal manual – is the glaring mistake of the 2011 Dodge Charger. It handles and stops much better than a 4,000-pound car should, offers 4 usable doors, is powered by a V8 Hemi and is surprisingly affordable – but it has a boring, slow 5-speed automatic. Chrysler says it’ll get an 8-speed soon, perhaps as early as next year. Until then it stands as the one big mistake in Chrysler’s big mistake. What a lovely mistake. When the Charger first made its reappearance back in 2006, people scoffed at Dodge's applying the legendary name to a 4-door, full-size sedan. Hoping to save face, the men at Mopar scrambled to the excuses bin, claiming they never intended it to be called a Charger. They blamed it on the marketing department mostly - some back-room bean counter’s failed strategy. And yet, what they came up with wasn’t bad at all. Charger or no, it was a fine car, and it’s only gotten better here in its second generation. In its initial iteration, the Charger was plagued by a weak base engine, cheap interior materials and handling that was too reminiscent of its 1960s namesake. All of this has been addressed for the 2011 Charger, making it even harder to hold those four doors against it. Sadly, there’s still one gleaming error to be corrected, however, and it’s not two extra doors. But before we start pointing out all the shortcomings, let’s concentrate on what Dodge has done right. First, the body panels are all new, and while a cursory glance might allow you to miss the small changes, they really are everywhere. The interior got the most attention – or perhaps just needed the most – and thankfully the hard plastics and shoddy finish are all gone in lieu of soft surfaces, actual aluminum trim and nary a gap to be found. Some changes are less subtle than others – door scallops harken back to the ’68-’70 Charger, but look to be a tacked-on afterthought here – but the result is a freshened look at a neo-retro. Sadly, neo-retro obviates freshness in the first place. You can add new bits to it, but it’s still going to be a bit stale. Take the rear end of the 2011 Charger for an example, with its 164 LEDs stuffed into a body-width taillamp arrangement. A bit of the old with a bit of the new, sort of. With complaints piling up regarding both V6 options for the Charger, there’s a new 6-pot lump for 2011 – a 292-hp, 3.6-liter V6. With 260 lb-ft of torque to back that up, this all-aluminum V6 matches the performance of most V8 offerings up until the latest hp wars and can definitely stand tall with most of the iron-block V8s of yesteryear. 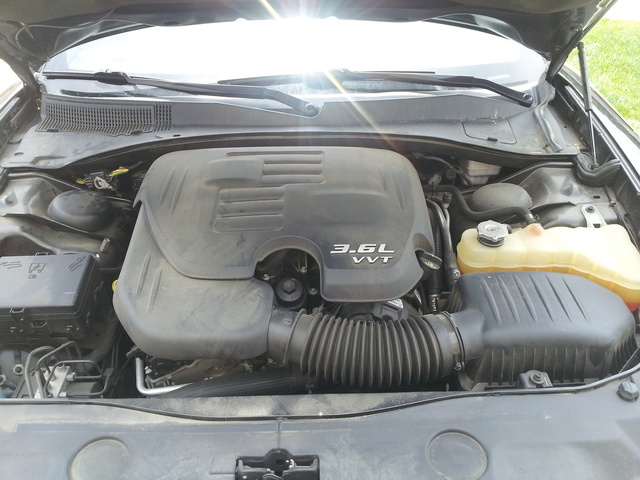 You’ll see this Pentastar V6 in a lot of Dodge vehicles this year, in varying power outputs. But what good is a Charger without a Hemi? The 5.7-liter V8 is back again, and standing on top of the pile for this year at least, as the 6.4-liter Hemi V8 won’t make an appearance again until the return of the SRT8 trim in 2012. The 5.7 brings 370-hp at 5,250 rpm and gets the celebrations under way with 395 lb-ft of torque ready at 4,200. While they’re both strong and fast, the 3.6 actually stands out this year, as it’s such an improvement from the outgoing V6s. Still, this brings us to the one stinking mistake still marring this misunderstood musclecar. A 5-speed automatic transmission? Still? In 2011? Even the first Charger came with Multi-Displacement in the 5.7-liter V8, so you can’t argue efficiency isn’t a concern, and fun is obviously a factor here, too. Why are we stuck with a 5-speed automatic? Manual shift-gate aside, where’s a real sport transmission? Manual please? Dual-clutch, por favor? For 2011, the Charger is being built on Chrysler’s “new” 2nd-gen E-segment chassis, along with the accompanying suspension. It’s really just a warming over of the original E-segment, but there are worthwhile adjustments nonetheless. That means changes at all four corners. Front and rear camber has been set at 1 and 1.75 degrees, and new shock absorbers handle the increased spring rates. Everything drops 4mm and is connected by some new hydrobushings that were part of Chrysler's big push to quiet things down. They’re even taking testers out on special noise test drives to show off how silent things can be in a supposed musclecar. Unfortunately those testers are finding there’s still quite a bit of noise to be heard in the Charger, especially with regard to tire and wind noise at speed. Not intrusive, but certainly evident, even though it is an improvement. Suspension changes have improved handling as well, although the Charger is still more stable than nimble, able to coast through turns with confidence if not rapidity. However, uneven pavement can still induce some jittery nonsense and coasting at speeds will illicit annoying wallows and float that remind too much of a boat. The cabin gets the biggest improvement for 2011, with new interior materials and trims that do much to improve the overall experience. Contrast stitching is immediately evident upon opening the door, and the large gauges get sporty racing graphics that do a lot to make you forget you’re sitting in a 4-door sedan. The highlight may just be the textured aluminum trim, until you realize it’s actually faux aluminum. 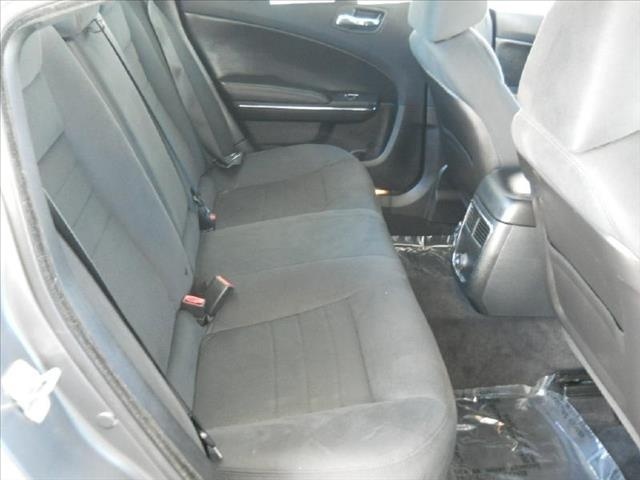 Front seats are exceptionally comfortable and supportive, and head- and legroom are available in abundance. Choose the optional sport seats for an even better experience, with suede-look material covering bigger side-bolsters that hold you in place during hard cornering. Rear seats are nearly as comfortable, although headroom becomes a bit precious for taller occupants. That said, if you fit, you’ll be set for all-day travel, as long as you don’t get stuck with the worthless, humped middle seat. Drivers should be aware that A-pillars can obstruct views to the corners, as well as a rear spoiler that can get in the way of the rear-view depending on the driver doing the looking. Crash-test ratings for the 2011 Dodge Charger are unavailable from the National Highway Traffic Safety Administration (NHTSA), as they’ve adjusted their ratings this year. However, in 2010 the Charger was awarded a 5-star rating in all NHTSA tests other than rollover resistance, which got a 4-star nod. The Insurance Institute for Highway Safety (IIHS) awarded the Charger its highest rating of Good in all test categories other than Safety Cage/Structure, which accounts for an improvement over 2010’s ratings of Marginal and Acceptable for Overall and Driver Pelvis/Leg, respectively. Safety features for the 2011 Dodge Charger include traction and stability control, assisted 4-wheel antilock discs, front-seat active head restraints, daytime running lights and 6 standard airbags. Ignoring complaints about its 4-door structure and the lack of a sporting transmission, the new drivetrain options of the 2011 Charger have received a myriad of accolades. Suspension improvements have received similar feedback, although complaints have been heard regarding highway manners on uneven pavement. However, the interior improvements have been a big hit, doing much to upgrade the overall feel of the vehicle. What's your take on the 2011 Dodge Charger? 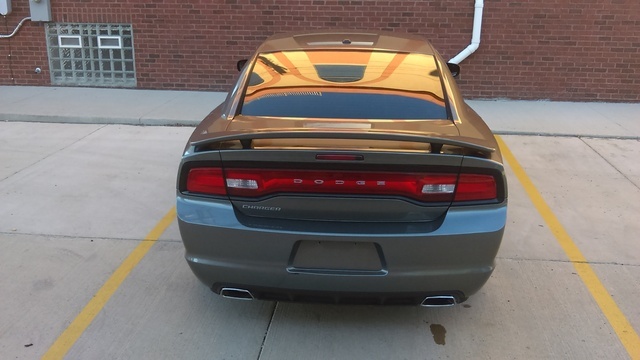 Users ranked 2011 Dodge Charger against other cars which they drove/owned. Each ranking was based on 9 categories. Here is the summary of top rankings. 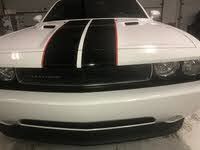 Have you driven a 2011 Dodge Charger? I have. 2011 Dodge Charger overheating and the steam is coming from the top what could it be? 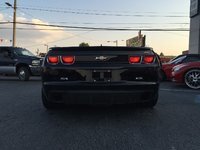 can i put e-85 instead of premium fuel in my 2011 dodge charger and is it better & longer lasting? ?